701 North West Shore Blvd. The threat of losing your home can be overwhelming. Since lenders must file papers in the public records you may be receiving hundreds of mailers from non-attorneys promising you that they can help you. Please be aware that many times the promises offered by non-lawyers could ultimately result in you losing your home. By hiring an attorney to fight the foreclosure and negotiate with your lender it is very possible to save your home or in the alternative, to design a proper exit strategy to minimize your liability in the event that you cannot keep your home or investment property. 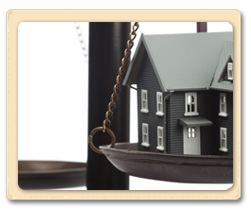 Home foreclosure is a process by which a lender regains a property which they have financed. Typically, this is because the borrower or homeowner is behind on house payments and is unable to catch up often due to circumstances outside of his or her control. When the lender forecloses on the homeowner, the homeowner must move out of the house, therefore losing all possession of the property, incurring a legal judgment and the accompanying negative credit impact as well as the potential exposure to further deficiency liability. Up until the foreclosure sale occurs there is still hope. If a sale date for your house has been set you need to act fast. We have stopped sales set for the next day but this is very risky and some lenders will not agree to it. You're best option is to take action immediately to stop foreclosure before it goes too far. Mortgage and Note. When you purchased your home you signed many documents at closing. Two of those documents were the Mortgage and the Note. The Mortgage pledges the property as security for the debt which is owed to the bank. The debt is determined pursuant to the terms of the Note. In other words, the Note is basically your promise to pay. The Mortgage is the tool the bank uses to take back the property in the event you do not pay. The Notice of Default. As a borrower, you have promised to make your mortgage payments, pay your taxes and insurance, and pay your homeowner’s association fees. If you fail to do so, pursuant to the terms of the Note and Mortgage, your lender may declare you in default of your Mortgage. Declaring that you are in default is the beginning of the foreclosure process. The Answer (20 days). In response to the Lis Pendens and the Complaint, you have 20 days from receipt of your Summons to file your Answer with the Clerk of the Circuit Court. An Answer is a legally sufficient response to the allegations that have been alleged against you in the Complaint. An Answer is not "I’ve been laid off from work and cannot make my payments." In the lender's (and Court’s) eyes, this is an insufficient excuse and does not justify your lack of payment. Instead, an Answer might be, "I never had a mortgage with this lender. They have confused me with someone else." Alternatively, "I have made all my payments and am not in Default" would also be an adequate answer and potential defense. It is an opportunity to show why you shouldn't be foreclosed upon. Do not forget, you have rights. Banks must follow the law when initiating a foreclosure. This is why it is very important to hire a knowledgeable attorney. Failing to do so may allow a bank to take advantage of you and improperly foreclose on your property. C. Anthony Rumore, P.A., has many years of legal experience in defending foreclosure actions and negotiating with lenders. We take pride in helping people like you get back on their feet. We work with lenders around the world on a daily basis and know the best strategies to help prevent foreclosure. We can help you stop foreclosure no matter how dire your situation is, but the sooner you act, the better. The longer you put off getting help, the harder it will be for us to help you. A short sale in real estate occurs when the outstanding obligations (loans) against a property are greater than what the property can be sold for. Short sales are a way for homeowners to avoid foreclosure on their homes and still be able to pay off their loan by settling with your lenders. Our offices have accomplished hundreds of short sales in the past few years, closing between five and ten short sales each month. Short Sales assist homeowners and real estate investors by helping to avoid foreclosure judgments and minimizing the likelihood of the client being held responsible for any deficiency amounts. Falling behind on your mortgage payments and trying to come up with a solution to the problem can be an extremely stressful. Therefore, in many circumstances, it makes sense to consult with an attorney about your property and the potential solutions that are available to you, including a short sale. While it is certainly not a requirement to have an attorney, it is wise to consult with one.